This code is used to assign a new DHCP range to an interface and route the traffic over an OpenVPN for PIA (may work with others). How to have dedicated DHCP options bind to a specific SSID? but is developed with the mind of easy configurationi. Code is separated from configuration files. The main reason for doing this was that I wanted several Wi-Fi networks with traffic routed over different kind of VPN-connections. See screenshots below. 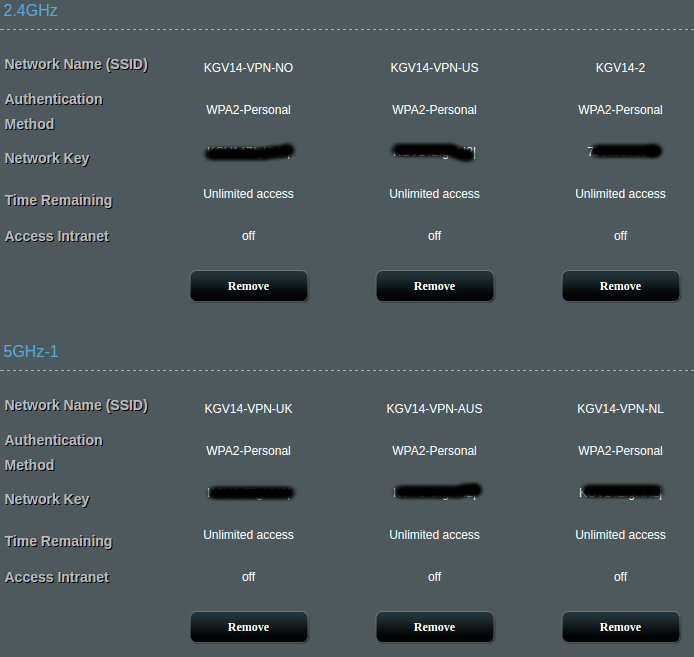 Enable the guest network(s) you want to use, and make the configuration needed/wanted (key etc) in the WebUI. Open the file dnsmasq.postconf and fill inn the networks you want to route through a VPN, in the format assign_ip "<interface>" "<dhcp>" "<range from>" "<range to>" e.g assign_ip "wl0.1" "192.168.2.1" "2" "254" will start a DHCP server on IP 192.168.2.1 with a range from 192.168.2.2 - 192.168.2.254. Open the file openvpn-event and fill in the network interfaces you want to route, in the format route_vpn "<interface g.network>" "<interface vpn>", e.g route_vpn "wl0.1" "tun11" to route wl0.1 over tun11. 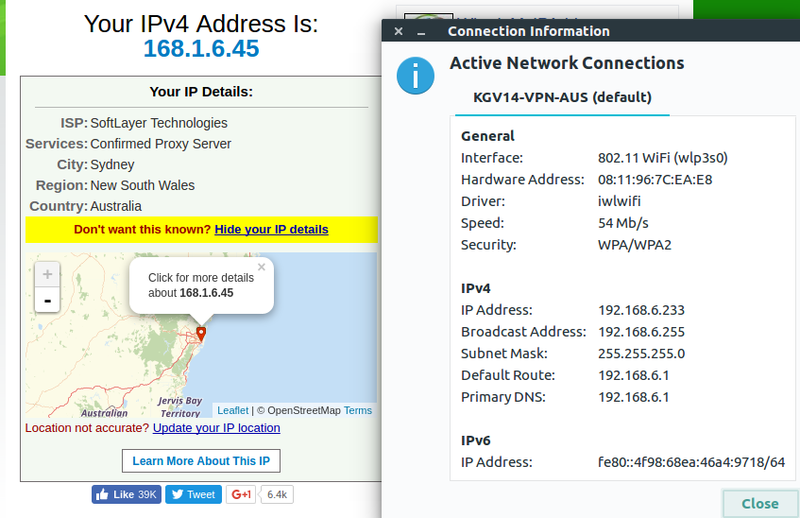 Log on to your router and create a directory named "aiop" in the directory /jffs/scripts. You will find an example on how I've done it, with 6 guest networks and 5 VPN-clients, in the files "dnsmasq.postconf" and "openvpn-event". Note that wl0.1 and wl0.3 shares VPN-client. This way you can create several VPN-clients, i.e with different locations, and connect to the respective Wi-Fi when you want to change VPN-connetion. You will also find an configuration file in the "client" directory, that I have exported from my setup, that you can import in the WebUI. I have included the two certificates you need to copy/paste into the WebUI certificate-forms in the directory as well.